﻿ Buck Creek State Park - Ohio. Find It Here. 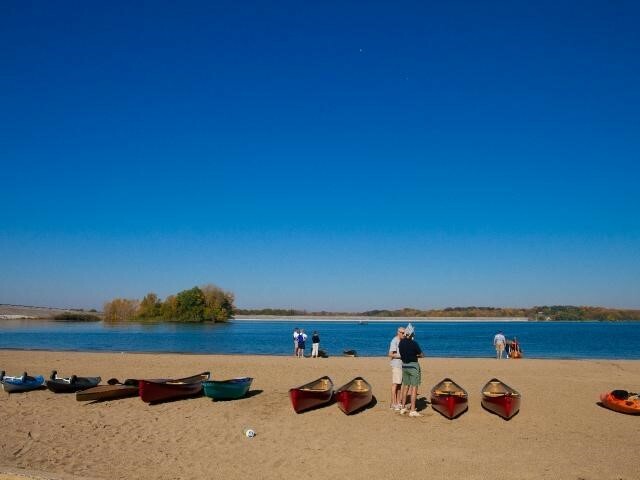 The park's recreational facilities center on the 2,120-acre lake, offering endless water-related opportunities including boating, water skiing, fishing and swimming.The park also includes hiking trails and beautiful picnic spots as well as an 18-hole disc golf course.There are 89 electric camp sites, 22 non-electric site, and facilities include 2 shower houses, flush toilets, coin laundry and dump station. Pets are permitted on designated sites. Boat camping is also permitted in designated areas. Bike rentals are offered at the camp office, and the campground offers many activities to campers, including a camper's beach. There is also a playground that is centrally located in the campground, along with a beach for campers to lounge and play. Make reservations online or call 1-866-644-6727.Park hours may vary throughout the seasons. Please call the park office for hours of operation.